My friend Travis invited Michelle and I to his in-laws ranch in New Mexico for the 4th. 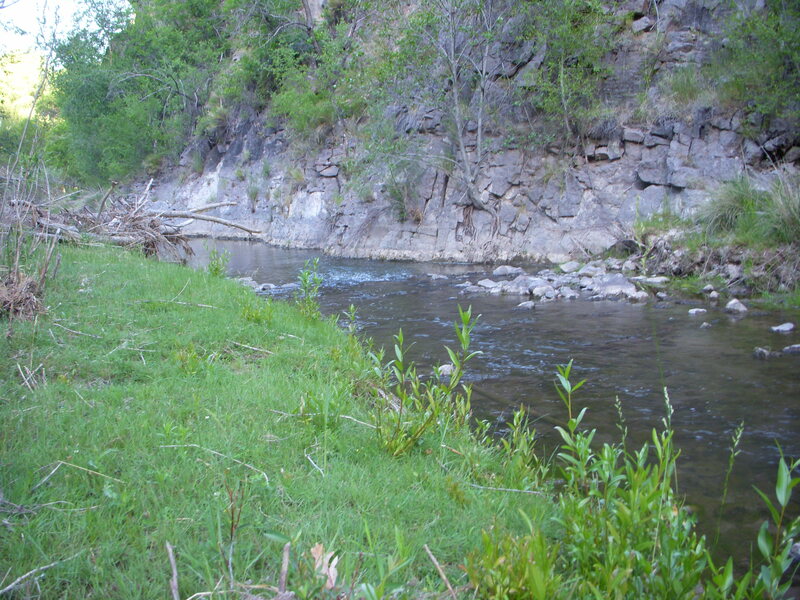 The ranch is located north of Reserve outside of the little town of Apache Creek. I brought my fly rod along hoping to get a few hours of time to check out some of the local creeks. 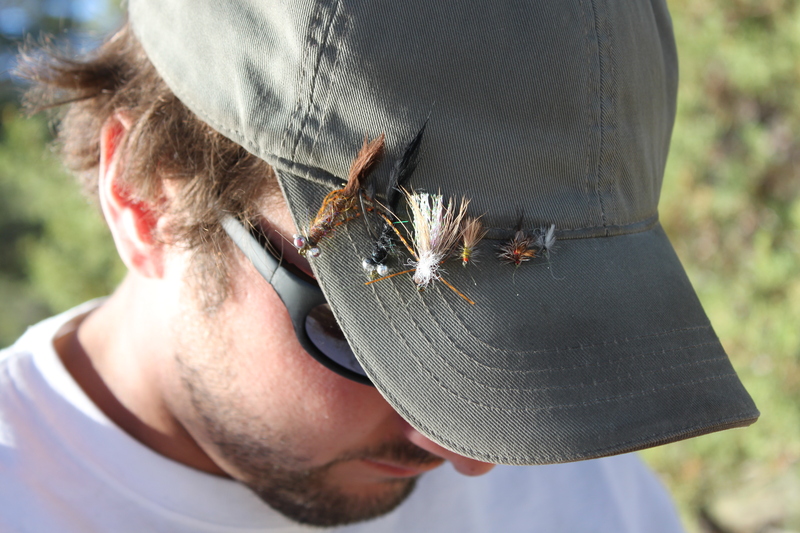 I first stopped at Tularosa River later in the afternoon and rigged my rod up for about an hour. The portion of “river” (and I use that term loosely) ran though pastureland which I gather must have impacted it’s quality. The river was small with places to step across but the water was full of crawfish and some type of fish, which I imagine were chubs. 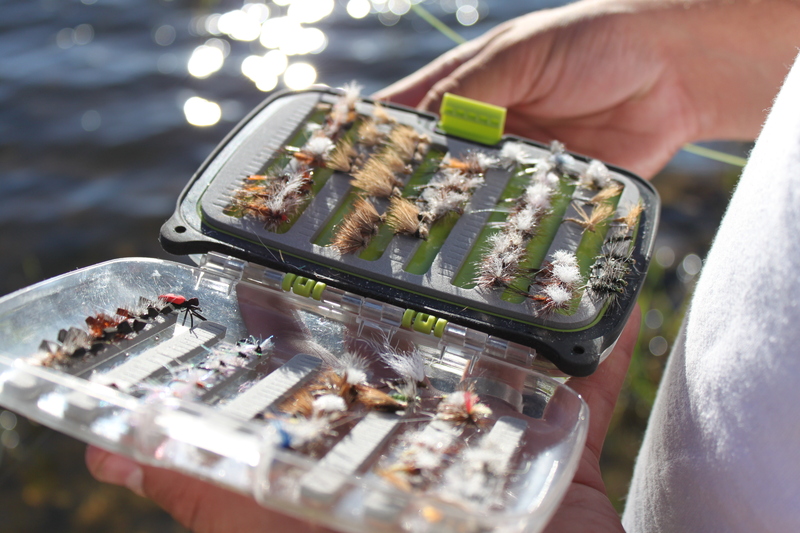 The afternoon sun made it difficult to fish and time restraints pushed me back to the ranch. The next day, Travis and I woke up early and met an old timer who was going to drive us to a remote spot on the San Francisco River where hopefully we could get into some fish. From the hills above the river we were pretty excited about our prospects but as we walked along the river we were sadly disappointed. The cattle had done a number on the stream bed which was extremely silty and the river flowed very wide and slow. 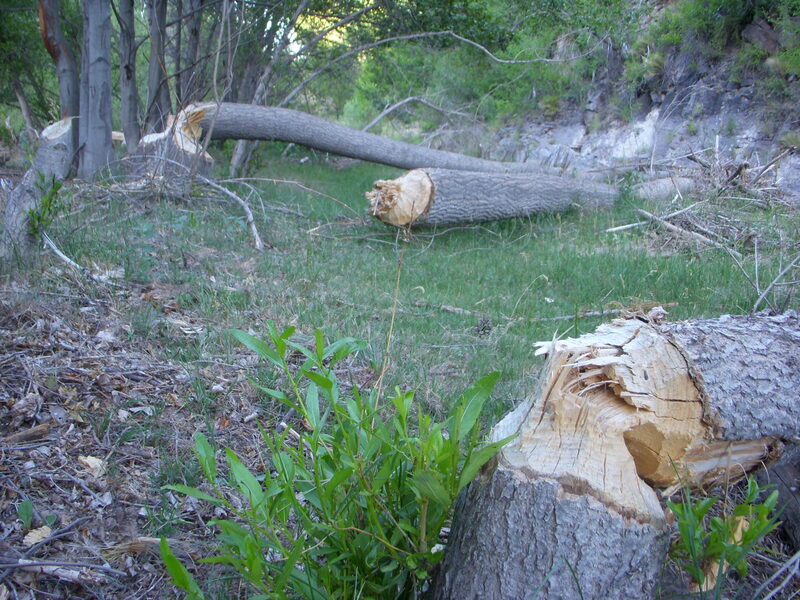 What little quality river the cattle had left had been further decimated by beavers who had chewed down most every tree in the two miles of river we walked. On our way back to the truck we were fairly disappointed that we did not even see a fish, but I stopped at the three fishy looking holes and threw a simi seal bugger with legs into each of these holes. All three held at least one fish and I actually hooked up with one of them but he quickly jumped off. It was a tough morning and left our spirits fairly low. That evening the whole group made our way to Quemado Lake to try out the fishing there. In the hour and a half we spent on the shore, the wind put up a pretty serious fight. After helping to rig up some poles for the kids, I briefly attempted to throw my 3 weight into the steady wind. After throwing everything and no luck, everyone packed up and headed back ranch. Tularosa River – After doing some more reading I probably was too far downstream to see any real success. Add the fact that it was 3:00 in the afternoon in New Mexico and there is no big surprise I did not catch anything. In the future I would head farther up. San Francisco River – Although from above this river looked great, upon closer inspection the section of river we fished was such poor quality. If I went back, I would make a day trip and hike to the Box where the reports are better. In truth, I learned much about the fragile nature of a stream and how outside forces can be extremely destructive to a fishery. In closing, there were several other waters that were close that I did not have time to check out and creeks and rivers that were a little bit of a drive that also had positive reports. 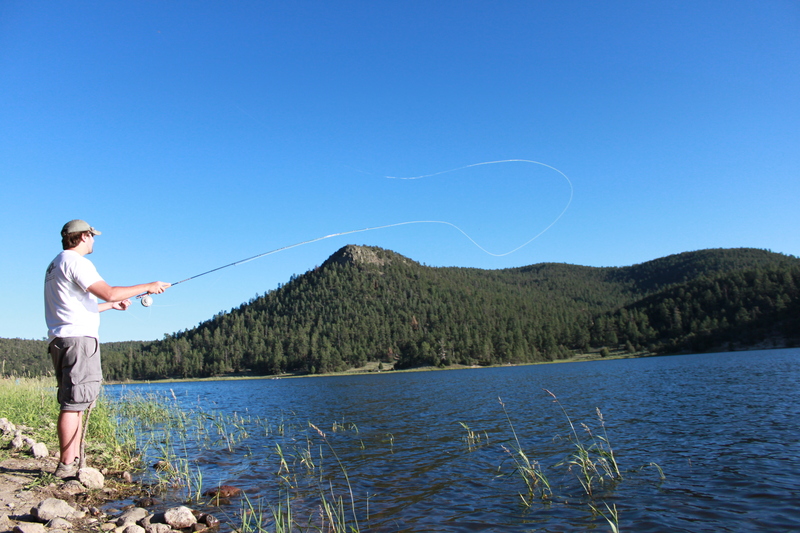 The Gila Wilderness is also not far and could offer many opportunities to fish new water. I look forward to getting back to New Mexico and scouring this area for productive water. Nice report Ben! Too bad about the fishing though. It sure doesn’t take much to decimate a fishery. There’s a big push here about stream side conservation and fencing off streams to prevent what you just described. I imagine it’s a whole different beast out west with the free ranging herds. From what I’ve seen of New Mexico in pictures it sure is beautiful. Hopefully your next trip back has better results. Thanks Bill. In really need to get back out there sometime and try some different spots. It is really beautiful country and I enjoyed being there, even without a fish to hand. I learned much and look forward to getting back. Definitely check out the box next time. Cattle and even elk can really chew up a stream. They like to eat the willows and young cottonwoods which really make for good fish habitat. Rougher places like the box are better since the help keep the cows out in ranching county and Catron County is ranching country for sure. 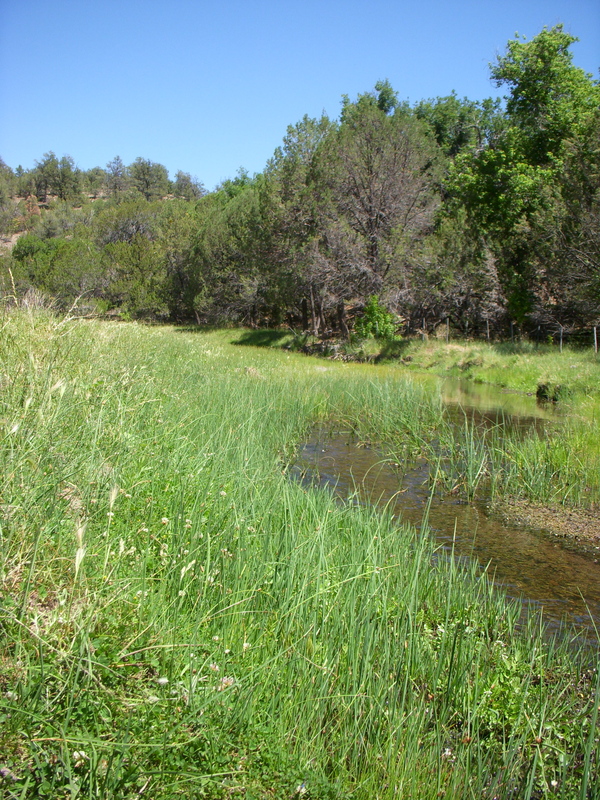 I have been fishing the small streams just the other side of the AZ border quite a bit this summer. Sure is nice to see water back in those streams again. Thanks for the advice. I look forward to getting back there and spending some time on the quality portions of the San Francisco. The streams there looked full of water to me and I must agree that everything I’ve fished so far in AZ has looked good too. Hopefully we can get some decent rain in the next few weeks. Good luck to you.